Ideal for use as industrial carts, material handling carts and stock cart. Multi-cart's top and middle shelves tilt up to 45°, allowing easier bin access; bottom shelf is fixed. Top shelf is 58"h, middle shelf is 35"h and bottom shelf is 7-1/2"h. Shelf dimensions are 16"d x 24"w with a lip to retain bins. Steel multi-tier cart powder coated finished in blue. Unit comes with 2 rigid and 2 swivels 4" x 2" rubber casters. 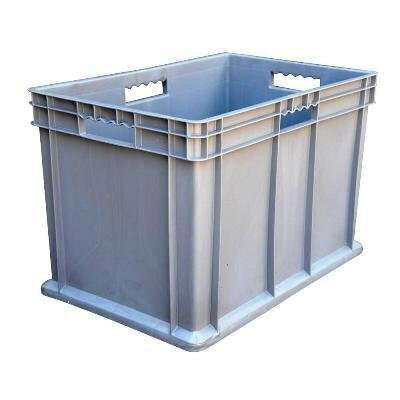 Also available, large, medium and small bins.